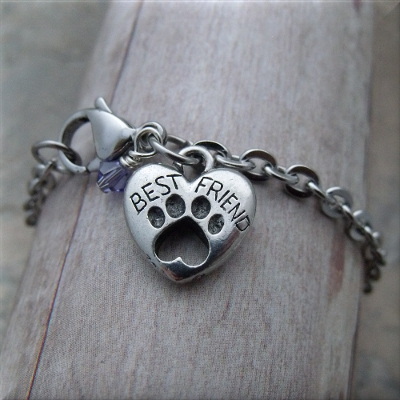 Birthstone Paw Print Jewelry for the Pet Parent & Paw Lover! Hi Fur-iends! I wanted a way to honor my own fur babies with jewelry and this was one way I thought would be memorable and cute; a design that could be worn all the time. I just love these designs! To start them off, there is a petite, sterling, round bead snuggled on top of a detailed pewter spacer then a tiny Austrian Crystal in the birthstone color of your choosing. Yay!! Personalize them how you like! The pendant necklace has an open paw charm while the earrings have a closed paw charm. I will be updating this post with the same earring design but with the open paw charms! Stay tuned for the picture and listing! So what do you think? Is this design for you?